Research in the political history of the First World War has mainly focused on the course of events at national levels. It has shown how conflicts between the people’s sacrifices and their political participation led to crises of parliamentary legitimacy. Yet these crises were entangled through the comparative nature of constitutional debates, transnational networks typical of all ideologies, the press and shared war experiences. In The Springs of Democracy: National and Transnational Debates on Constitutional Reform in the British, German, Swedish and Finnish Parliaments, 1917-1919 (open access; Helsinki, Finnish Literature Society) I compare British, German, Swedish and Finnish debates on revolution, democracy and parliamentarism and their transnational links between the outbreak of the Russian Revolution and the constitutional compromises of 1918-19. Such an analysis, while specifying the common and distinctive features of national debates, demonstrates that competing transnational networks were of the utmost importance in smaller states and also mattered in more self-sufficient great powers. In Britain, the suffrage reform was conceptualised as the evolution of the existing form of popular government to make it better able to respond to popular expectations in the post-war situation and to counteract any revolutionary developments. Imperial perspectives and conceptions of Britain as a universal model dominated. 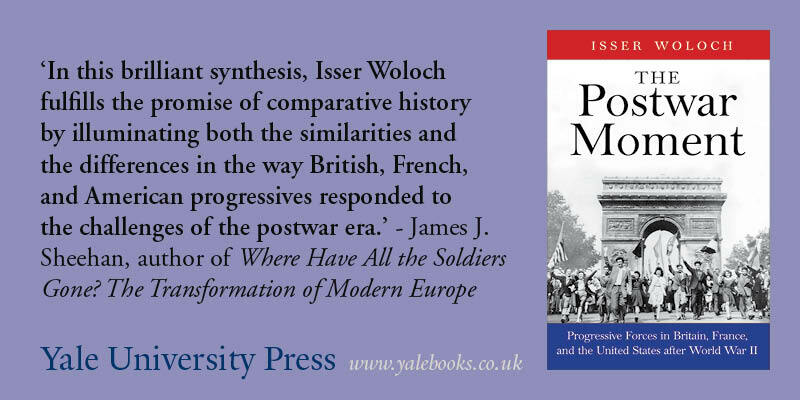 The wider politicisation of ‘democracy’ was avoided through definitions of the war effort as a defence of democracy, but after the restoration of peace democracy became politicised in domestic political contexts as well. In Germany, the war propaganda of the Entente affected constitutional debates, deepening party-political divisions. Wartime demands of parliamentarisation remained unspecific. After the war, democracy and parliamentarism were conceptualised in specifically German ways with both the reformists and their opponents delimiting the legitimacy of parliamentary democracy. Comparisons with Sweden and Finland – rather than with Britain only – are particularly enlightening here. German wartime calls for reform affected discourses on democratisation and parliamentarisation in Sweden and Finland to a greater degree than has been previously acknowledged. Sweden only adopted Western political models after major confrontations between supporters of German and Western models. Finland became a nexus of competing Russian revolutionary discourses and German- and Swedish-inspired appeals to legality. Debates on democracy and parliamentarism were polarised to the extreme, and the deterioration of parliamentary legitimacy followed. An emphasis on transnational links and the dynamics of political discourse offers an alternative, overlooked, explanation to the way to the Finnish Civil War (1918) – but also to the way to a republican compromise (1919).